Ancient Order Of Froth Blowers Anthem. The Ancient Order Of Froth Blowers Anthem. The A.O.F.B. 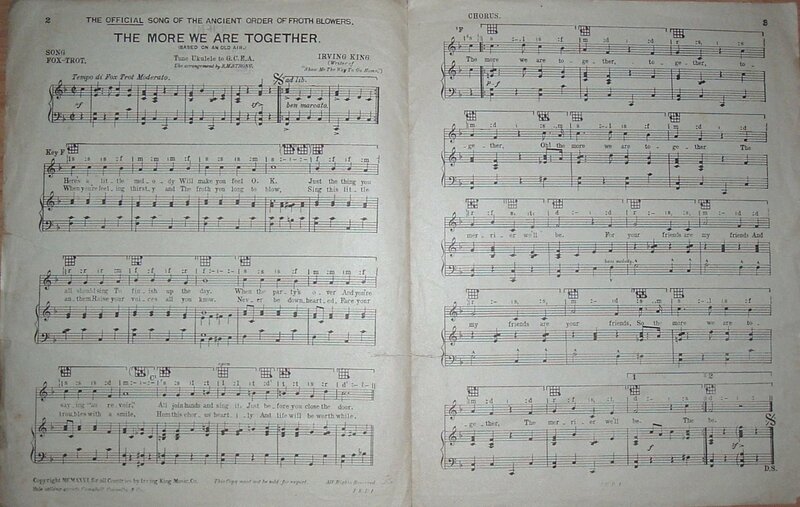 Anthem is based around a traditional Austrian folk tune from around 1768. The original song " Ach du Lieber Augustin" tells the story of Augustin who consumes too much wine and passes out at the side of the road during the great plague. He is mistaken for a dead man and loaded onto a cart with plague dead , only to wake up in the mortuary later startling the attendants. The A.O.F.B. 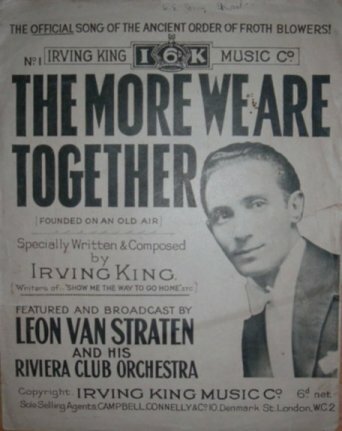 song "The More we are Together" was specially written by Irving King using the melody of the old air. The A.O.F.B. 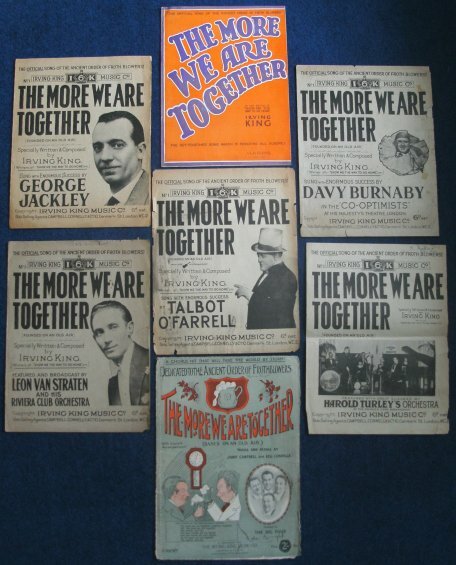 also inspired a music hall song called ' I'm one of the Old Froth Blowers ' by Nat Travers. A selection of A.O.F.B. 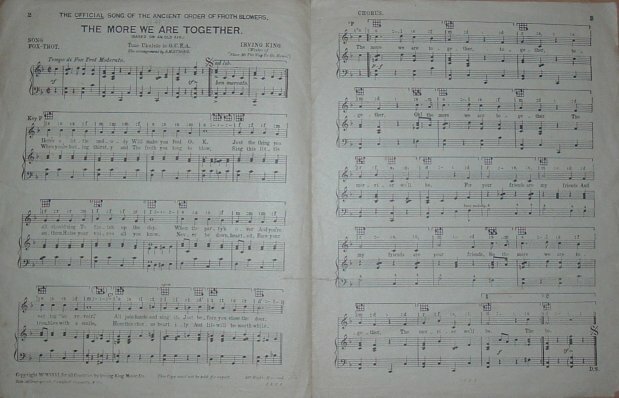 sheet music from different artistes.